A report by one of Sweden's leading regional dailies on anti-terrorist measures ahead of Christmas, now called "Winter Celebration", has provoked an outcry from fellow Swedes who perceived this newspeak as political correctness gone too far. 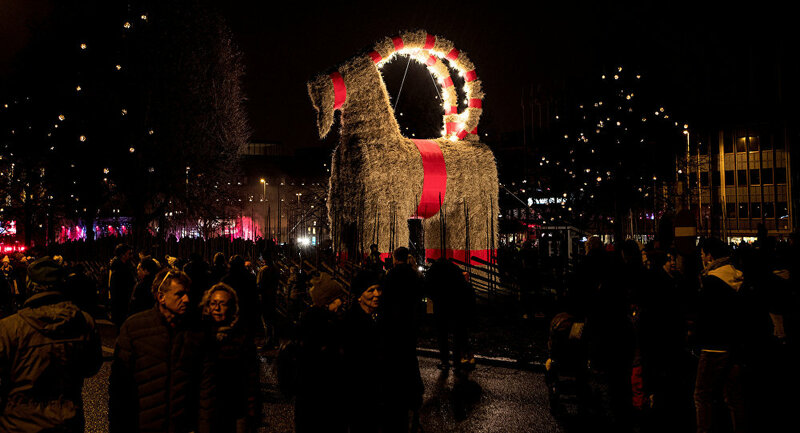 Sydsvenskan, a regional daily headquartered Skåne County, has published a report on how the city of Malmö prepares to celebrate Christmas by moving festivities from Gustaf Adolf Square to larger Stortorget Square for security reasons. Additional security measures will be in place, Sydsvenskan reported to assure Malmö residents of peaceful holidays. However, the newspaper's expression "Winter Celebration", a politically correct paraphrase of Christmas, enraged many Swedes, who found this to be an encroachment on their dear tradition for the sake of multiculturalism. "So Christmas is now called 'winter celebration' in Malmö? There you have it", user Nätsäkerhetsexpert tweeted. "Waiting to open my 'winter presents' lying under 'winter tree'", he added sarcastically. — Nätsäkerhetsexpert (@M____i____T) 2 декабря 2018 г. ​"Eager to read about 'Winter Eve'" another user tweeted stretching Sydsvenskan's trope further. "Looking forward to having sweets and eggs during 'Spring Celebration'", user Team God chipped in, paraphrasing Easter in an equally politically correct way. "Is this the first time a newspaper non-ironically uses the world 'Winter Celebration' for Christmas in a news piece? ", user Alexander TixE wondered. — Alexander tixE™ 🇸🇪🇷🇺👁️ (@alexanderedbom) 2 декабря 2018 г. ​Some joked that Malmö City Council wasn't progressive enough (unlike Sydsvenskan), as its homepage was all "Christmas upon Christmas". Others found the term "Winter Celebration" less appealing, particularly given southern Sweden's climate. "Who wants to celebrate Scanian winter anyway? Dark, +3 degrees, wet snow and wind blowing at 13 metres per second", one of the replies said. To this, another user replied "How often do they have real winter down in Skåne anyway? Once in a decade?". "Will you replace Ramadan with 'Starvation Celebration' in order not to trigger Christians, or are only Muslims being violated?" another one replied. "How to avoid attacks from Muslims: 1) Call Christmas 'winter celebration' in order not to upset Muslims 2) If they still want to kill us: Add concrete blocks and other 'Islam décor' to the square. How the hell did we get here?" Micke69 wondered. "'Winter celebration' behind concrete blocks… Never thought this 10 years ago", was another dissatisfied tweet. Sydsvenskan was founded in 1870. It is headquartered in Malmö, and its paper edition is mostly distributed in Skåne County. Its coverage is characterised by local news, while it also aspires to full coverage of national, EU, and international news. The paper is owned by the Bonnier Group, which owns a hundred media companies in a dozen countries. Sydsvenskan's stance is self-described as "independent liberal".